A convenient & compact solution to transport up to two bicycles. 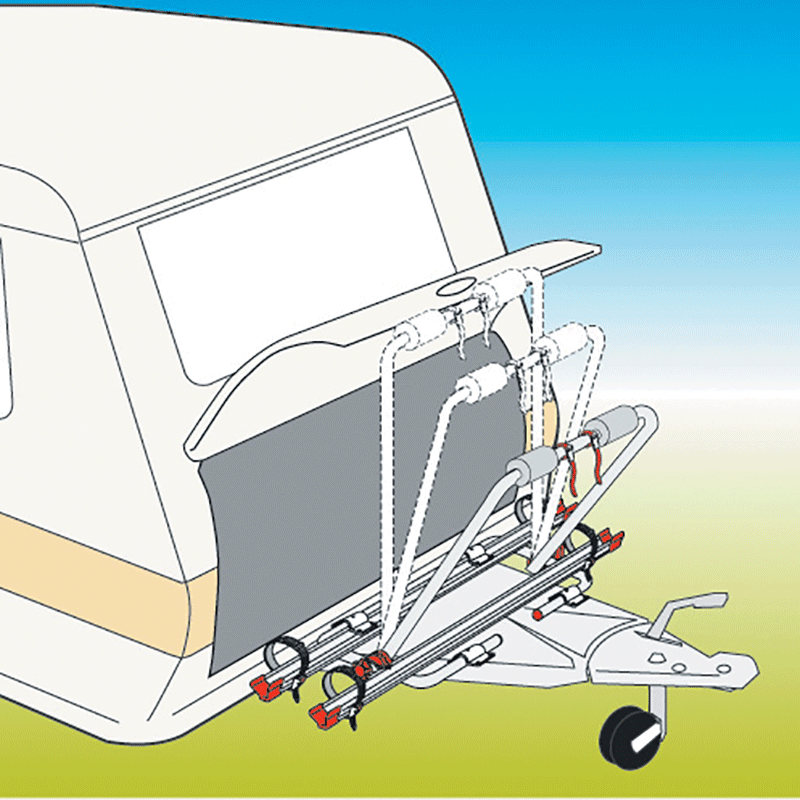 It fits all caravans with a standard a-frame & pivots forward allowing access to the storage compartment. Easily installed (no drilling required) & the rail support base has been re-inforced with a new aluminium blocking system.